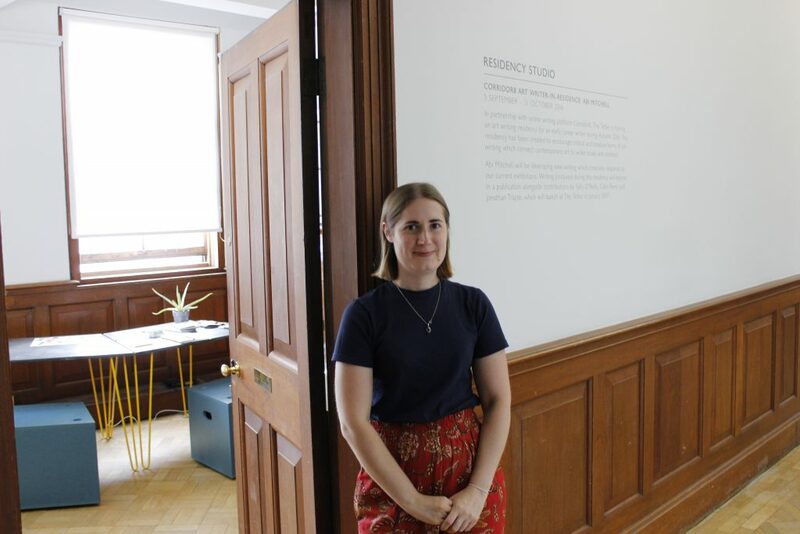 Abi Mitchell was writer-in-residence at The Tetley in Autumn 2016, coinciding with the exhibitions Jonathan Trayte: Polyculture and Stass Paraskos: Lovers and Romances (21 July – 9 October 2016). This pilot residency programme was created to encourage critical and creative forms of art writing which connect contemporary art to wider issues and contexts. 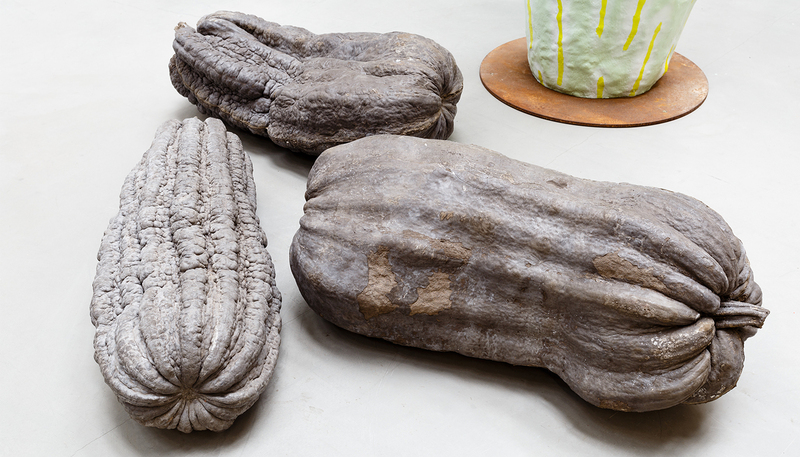 Mitchell spent ten days at The Tetley working with curator Zoe Sawyer, established writers Sally O’Reilly and Colin Perry, Corridor8 editor Lara Eggleton and participating artist Jonathan Trayte, to develop an essay in response to themes arising from the artist’s work. 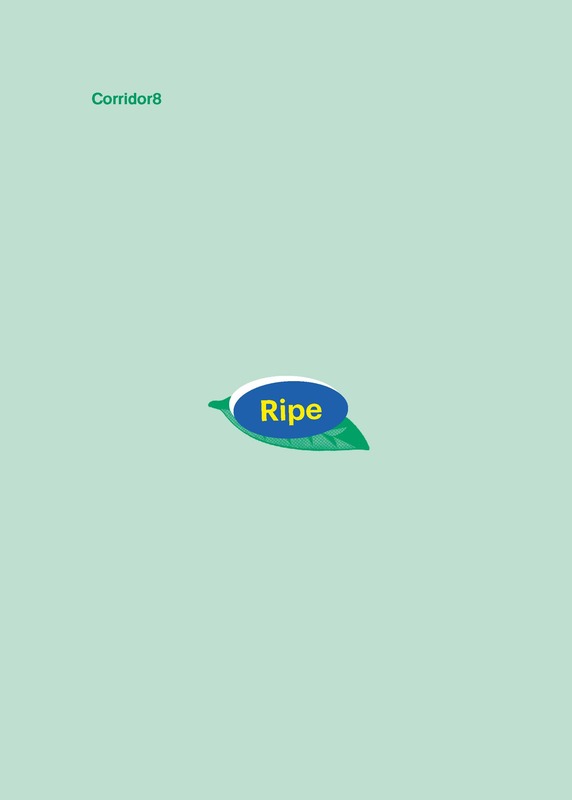 Mitchell’s essay features here and in the publication, RIPE, alongside contributions by O’Reilly, Perry, Trayte and food critic M. Bonsers. An events programme ran alongside the residency, including a collaborative drop-in event led by Mitchell (‘Samhain’, 26 October 2016), an art writing workshop (26 November 2016) and a publication launch (14 January 2017). Bryony Bond, Director, The Tetley: The collaboration with Corridor8 was a fantastic partnership, enabling us to achieve much more than we could do alone. At the end of the project we have a fantastic publication that records a very important exhibition for us, Abi Mitchell our writer-in-residence has seen her work in print for the first time, and we have a great relationship with an independent platform for writing on contemporary art in the North. This was a truly symbiotic partnership, with Corridor8 and The Tetley each bringing vital resources and skills and creating a project for which I’m sure we’ll continue to see the benefits from. This relationship between a publisher and a gallery makes a huge amount of sense and is an exciting model that I am delighted to see rolled out across the North. Abi Mitchell, writer-in-residence: The writing residency gave me the opportunity to find out what writing meant to me and how I want to develop my writing practice further. Without the dedicated time I was able to give it I wouldn’t have had such a good experience. This was helped by the fee that allowed me time off work and to focus my mind on one thing. The residency gave me many opportunities that weren’t included in the call out, including meeting an expanded network of writers and publishers in the North and finding out about further opportunities. The mentoring was extremely useful and invaluable, this type of one-on-one experience is not easy to come by and is something that could really benefit those like me who were struggling to work out how to develop and become professional. Undertaking the residency has given me a greater confidence in my writing and inspired me to look for more opportunities in the coming year. Colin Perry, participating writer: This was a significant contribution to the development of a critical debate on art writing in Northern England. The 2016 residency at The Tetley provided young writers with a wonderful opportunity to spill some ink in public, and to meet experienced writers. There’s a surprisingly vast appetite for arts writing throughout the UK. If art is to remain a critical and regionally diverse force, these kinds of opportunities are vital. Sally O’Reilly, participating writer: The Corridor8 critical writing programme is a valuable means by which writers are brought together. While I know several writers working in my own region, I had no idea about practitioners elsewhere around the country, and so meeting to discuss the methods and intentions of critical writing was the most immediate and productive way of overcoming that lack. Mentoring is also a rare and important aspect of the programme, since face-to-face discussion of work in progress so seldom occurs for writers, who are otherwise working with (often anonymous) editors at a distance. For the mentor, it is a way of discovering the concerns of emerging writers; and for the recipient of mentorship, a powerful way of reassessing one’s own practice. 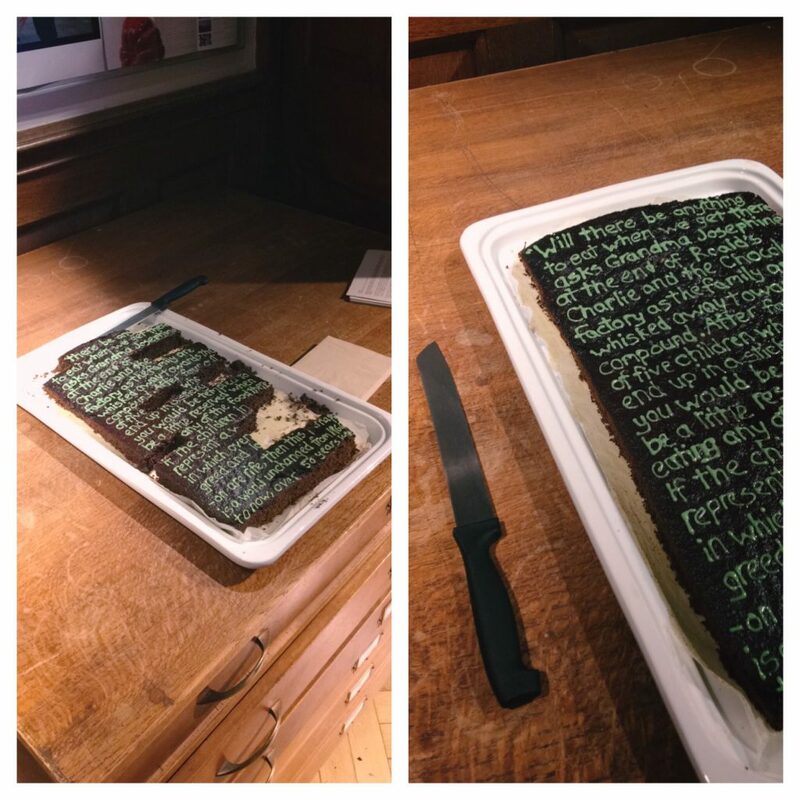 Cake with hand-iced excerpt by Abi Mitchell, selectively eaten at ‘Samhain’ event at The Tetley, October 2016. Writer-in-residence Abi Mitchell stands outside her office at The Tetley. 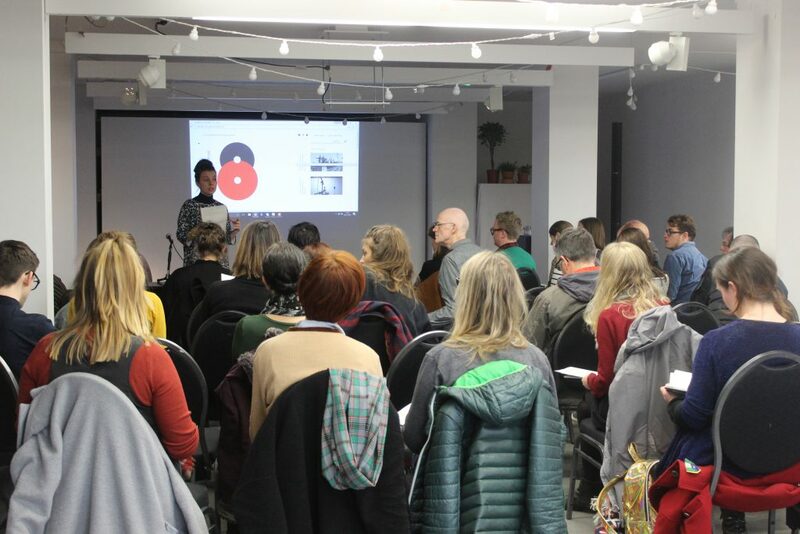 Lara Eggleton speaking at an art writing workshop, hosted by the Tetley in November 2016. A limited-edition publication produced as part of a writing residency programme with The Tetley, Leeds, in 2016/17.